Games for kids 4 to 16, plus tips on keeping play fun and fair for all. Camp games are meant to be fun! 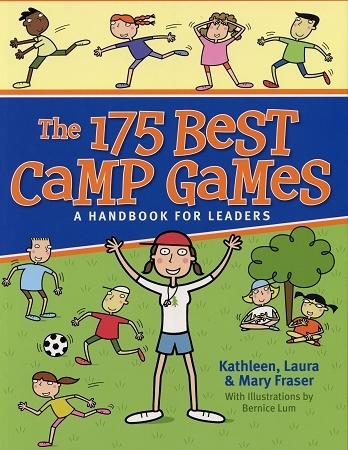 Here are more that 175 of the very best camp-tested games for boys and girls ages 4 to 16, with easy-to-follow instructions and illustrations. Included are indoor and outdoor games for both small and large groups, with some old favourites and lots of new soon-to-be-favourites. This practical, easy-to-use guide identifies kinds of games with colourful icons( rainy day, team-builder, big group and more) and divides the games into five chapters – Break the Ice, Take It Easy , Get Them Moving, Run them Ragged, and Wet and Wild – to help leaders pick the perfect game.